Don't shoot me, I'm a friendly NJ Bear! 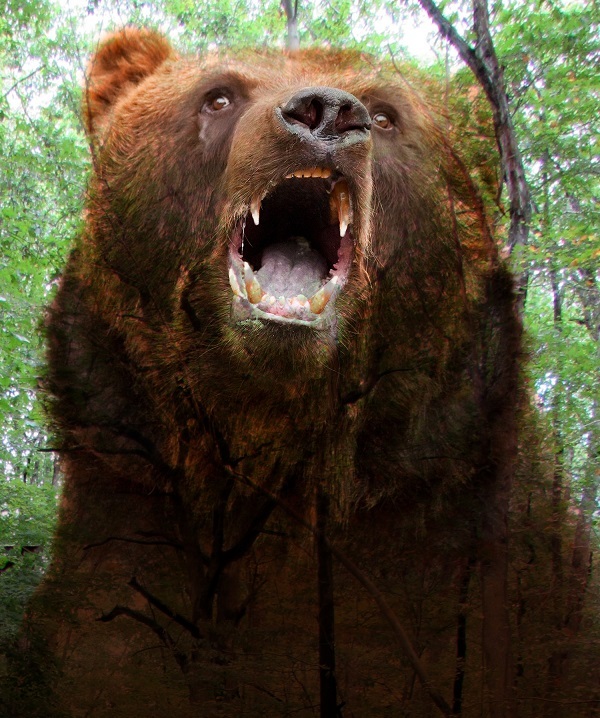 I’m a firm believer that New Jersey bears are the wimps of Beardom. NJ is a skinny little state. Yet, we are stuffed full of people. That was true even 100 years ago. Back then, I suspect our bears were as mean as any other state’s bears. But our desire to remove iron ore from our ground meant we went into the same area as our bears. And those miners had families that required protection. Which meant even women knew how to shoot a bear. 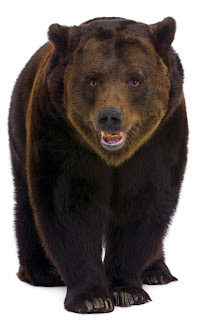 The transformation of bears into timid bears didn’t happen overnight, but since we live in such close proximity to them, aggressive bears would be shot at once. And once we got a police force, they took bear shooting very seriously. If a bear caused any trouble, boom! He’s dead. And that’s true to this day. 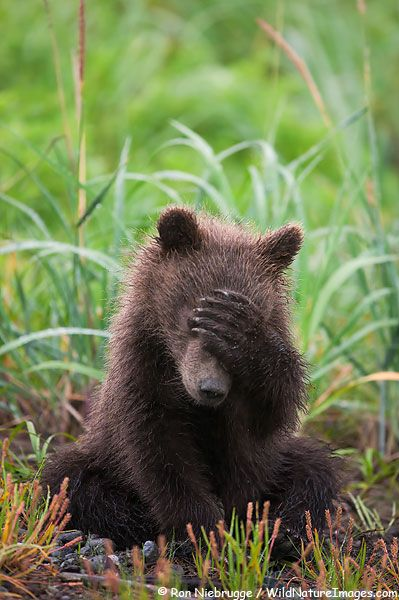 Bears are shot for misdemeanor offenses like crashing into a screen porch and killing a rabbit. Why is that a death offense? Because it could have been a baby sleeping in a crib. We have plenty of bears--no point in letting the troublemakers live. Overtime, this kill any bear that causes trouble attitude resulted in the aggressive gene being removed from the NJ Bear gene pool. Once in a while a bear will behave aggressively, and if you call the local police that will come out and shoot it…and not with tranq gun. Aggressive bears cannot be tolerated in a crowded place like NJ. And without intentionally changing our bears, we did so by simply eliminating the aggressive bears from the gene pool. Which leaves us with the wimpiest bears in the country. Think I’m kidding. Check out these NJ videos. And my own video of my thirty pound fifteen-inch-tall dog taking on a bear that per animal control says is probably 600 pounds. We’ve run into him three times. A friendlier fellow you’ll never meet. Still, I wasn’t sure what would happen when Jess tries to attack the fellow. IN NJ we acknowledge our bears exist. And they are truly the pansies of bear kingdom. And we like it that way. There is another animal which both Iowa and NJ wish to disclaim. That’s the mountain lion. I do run into a lot bears, wandering the various woods Jess & I hike. And still I live. So here's my advice: If your dog has treed a baby cub, try to drag idiot dog away. If she has wrapped herself around a small tree to prevent you from doing so, keep an eye out for the mom while you threaten your dog she's never hiking again. If a baby bear runs straight to you for no reason at all as mother bear watches. Try your hardest to shoo it away. You do not want to have a meet and greet with the tiny cub as mom looks on. If you are a bunch of drunk college students surrounding a young bear, be aware if it believes you intend to kill it, it will fight back. If you are a curious scout leader who crawls into the cave of a hibernating bear, don't expect a loving hug when she wakens. And if you a macho hunter, don't hunt NJ bears. NJ bears are wimps. Shooting them is a sissy sport. You wanna be a real man? Go to Montana and try to hunt theirs. Labels: Iowa doesn't have bears, Liza compares NJ bears to Iowa bears, Liza compares NJ bears to Montana bears. I think that the bears become dependent on the humans for food and such. Thus they are less likely to be angry at humans... we give them food and it appears pools and fun play structures to play on. I might like to hang out with people who keep feeding me and letting me swim in their pools... do you know anyone I might come live with? I'm sticking to my theory we've killed the aggressive gene. Although we do have an excessive number of pools for a state that is just marginally warm enough to justify pools.